“I swear by my title as a forthcoming Summoner that I will return to free you from this underground palace. You should know that Summoners never go back on their words.” Frankly, she was just bullshitting, but she actually wasn’t wrong. For a Summoner to swear anything by their revered title was equivalent to them signing a sworn contract; if the Summoner failed to fulfill the promise, then they would experience terrible backlash. Once the promise was made, it would be impossible to go back on it. Therefore, Summoners were generally extremely vigilant about making promises. Of course, how could the current Yun Wu have known this? At the moment, fooling the dragon was her top priority. The Redfire Dragon’s blood should be superior to the blood of the beasts from the Beast Forest, right? Though she was still unsure of how to revive her fleshly body, drinking beast blood would at least be able to preserve it. And thus, with the Redfire Dragon’s reluctant consent, she laid down on its body and drank her fill before standing up, whereupon the dragon exclaimed, “Are you a human or not?” It eyed her suspiciously as she wiped her mouth of its blood. “You’re a monster.” Despite its words, the Redfire Dragon’s doubtful attitude towards her capabilities had actually been slightly subsided. She shrugged, just about to answer, when…. Hiss….. At the underground palace entrance, the man-eating vines and giant python suddenly began to writhe around restlessly. “A trespasser?” The Redfire Dragon excitedly rolled over and sprung up into the air. “That’s excellent. You cannot be eaten, but now another trespasser has delivered themselves to my doorsteps.” It if weren’t for the confines, the beast probably would’ve charged ahead already. Yun Wu raised her eyebrows, jumped off the dragon, and made her way towards the entrance, which essentially doubled as the exit. “Don’t worry! 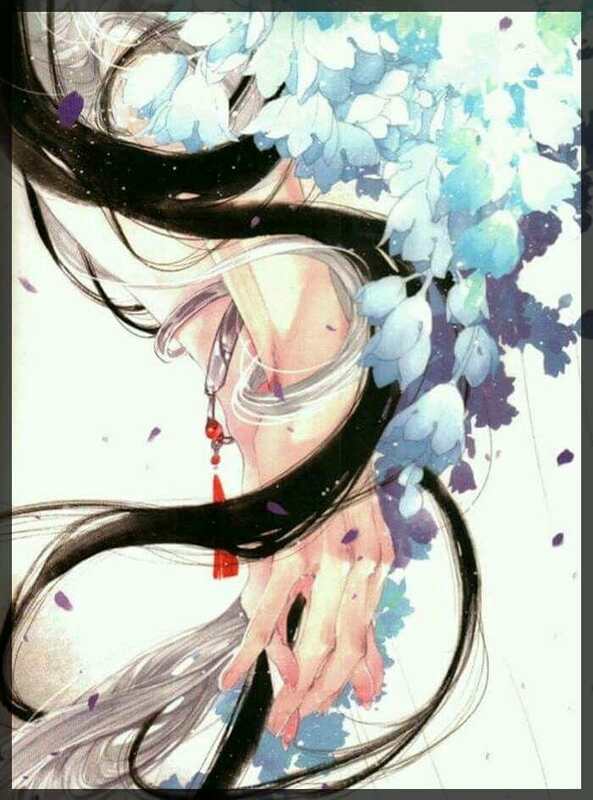 Wait for my return.” She waved without looking back and left with a flourish, her departure executed in a cool manner. However, she didn’t expect that right after walking out, she would see the man-eating vines and a different giant python thoroughly thrashed upon the ground, accompanied by the sight of a man slowly strolling towards her. She was speechless. Clad in boundless white robes, paired with a head of drifting silver hair and a breath-taking countenance. His inky black eyes, however, carried not allure, but the cold light of a killer, making it seem as though the art and path of killing solely belonged to him. Yun Wu stood there dazed, sensing the bone-chilling aura around him as she watched him near, step by step. “Little thing, after this, I really need to keep a closer eye on you.” A tinge of huskiness mingled with the magnetic quality of his voice. In the blink of an eye, she was pulled into his embrace, to which she reacted by throwing her palms out to forcefully push him away. She quickly fell back a few steps, frowning. The bloodthirstiness that existed in the recesses of Long Qingxie’s eyes was replaced by leisurely charm. His lips curved upwards. “Heard my woman got thrown into the Forbidden Grounds. As your husband, how could I not enter too? Though, it looks like I worried for nothing.” Hearing him, Yun Wu felt ineffably offended. This man, does he have to be so indecent every time? Nearby, more man-eating vines and giant pythons began to gather. “Let’s get out of here first,” Long Qingxie said, gathering her into his arms. Ignoring her protests, he turned and took her out of the Forbidden Grounds. She wanted to break out his grasp, but seeing the corpses of man-eating vines and giant pythons littered on the ground, she was involuntarily stumped by the realization that he had killed his way into the Forbidden Grounds, just for the purpose of finding her. Long Qingxie held her tightly, and the unfamiliar scent of his presence tickled her senses, causing her heart to start to involuntarily race as a warm sensation washed over her. But she didn’t dare let herself linger on the nostalgia. The warmth was like an enthralling poison; it served only to blur one’s mind and judgment. A poison that she was all too familiar with. In her previous life, the betrayal of her lover had shattered her heart to pieces. In this life… she was without a heart. Thanks for the chapter!!! ?? good luck!! ?? It’s a very romantic picture this time! Their hair and hands entwined 😀 Thanks for your work and for your exams: ganbatte, jiayou, fighting!